Florida State University is recognized by the Carnegie Classification of Institutions of Higher Education as engaged in very high research activity, the highest status accorded to a doctoral-granting university. Graduate and professional studies are pursued by approximately 8,000 graduate, law, and medical students. We offer a fabulous wide range of doctoral, master's, specialist, joint, combined bachelor's/master's and professional degree programs, as well as certificate programs. Graduate study is an amazingly exciting time of exploration and immersion in a particular specialty. It is a time for the free exchange of ideas, acquisition of new skills, and creation of new knowledge. It is a time when faculty change from being your teachers to being mentors and colleagues. Graduate study at the Florida State University is the right choice for a someone who aspires to make a difference in our World and have a long and distinguished career. Florida State University Provost and Executive Vice President for Academic Affairs Sally McRorie has appointed Mark Riley dean of the Graduate School, effective May 7. Riley is a longtime faculty member in the Department of Physics at Florida State. He has served as interim dean of the Graduate School since August 2017 when former dean, the late Nancy Marcus, stepped down from the role. 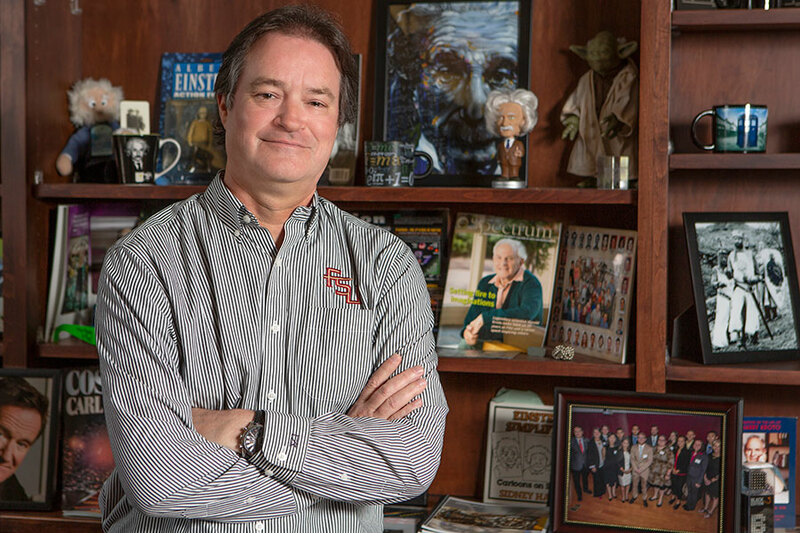 Riley, a world-renowned nuclear physicist, joined the FSU faculty nearly 27 years ago. He is the Raymond K. Sheline Professor of Physics and served as associate chair and chair of the university’s physics department. In April 2014, Riley was named the 2014-2015 Robert O. Lawton Distinguished Professor. The recognition is the highest honor the university faculty bestows on one of its own. As dean, Riley is responsible for the oversight of the education of approximately 8,000 graduate and professional students. He said his vision for the college is in concert with FSU’s strategic plan and its goal to become a Top 25 public university. Dr. Mark Riley, a Robert O. Lawton Distinguished Professor, is the Dean of The Graduate School at the Florida State University. His responsibilities include oversight of the education of approximately 8,000 graduate and professional students. Riley earned a Bachelor of Science with Honors in physics and a doctorate in nuclear physics, both from the University of Liverpool in England. He worked as a research associate at the Niels Bohr Institute at the University of Copenhagen and then as a research associate at the Oak Ridge National Laboratory and University of Tennessee. Prior to joining the Florida State faculty as an assistant professor in 1991 he served as an Advanced Fellow at the University of Liverpool. Riley was named the Raymond K. Sheline Professor of Physics in 2001, selected for an FSU Distinguished Research Professor Award in 2008 and became a Robert O. Lawton Distinguished Professor in 2014. He has won two university teaching awards. He served the Department of Physics as chair from 2007 to 2013. His research involves the detection of gamma-ray emission signals from excited atomic nuclei under extreme conditions. High-resolution gamma-ray detection plays an ubiquitous role in nuclear science and he has been deeply involved in the development and use of the world’s most powerful gamma-ray detector systems, such as, Gammasphere and GRETINA-GRETA. He has served on Users Executive Committees at the national laboratories of Oak Ridge, Argonne and Michigan State University. Other national level committee participation has included the Nuclear Science Advisory Committee to the DOE and NSF, and Program Advisory Committees of national laboratories at Berkeley, Argonne and iTHEMBA LABS in South Africa. He is a Fellow of the American Physical Society and is a past chair of the APS’s Publication Oversight Committee. Riley’s publication record includes ~200 research articles and he has delivered ~100 invited talks.